My partner, Wouter (pronounced: Wow-ter) is a man of many talents. 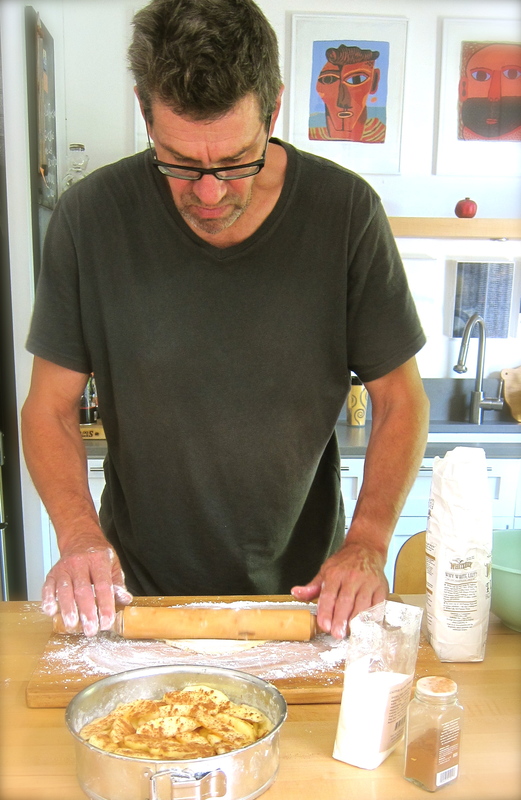 One of those talents is that he trained as a pastry chef long ago in Amsterdam. It took some time for me to find this out. 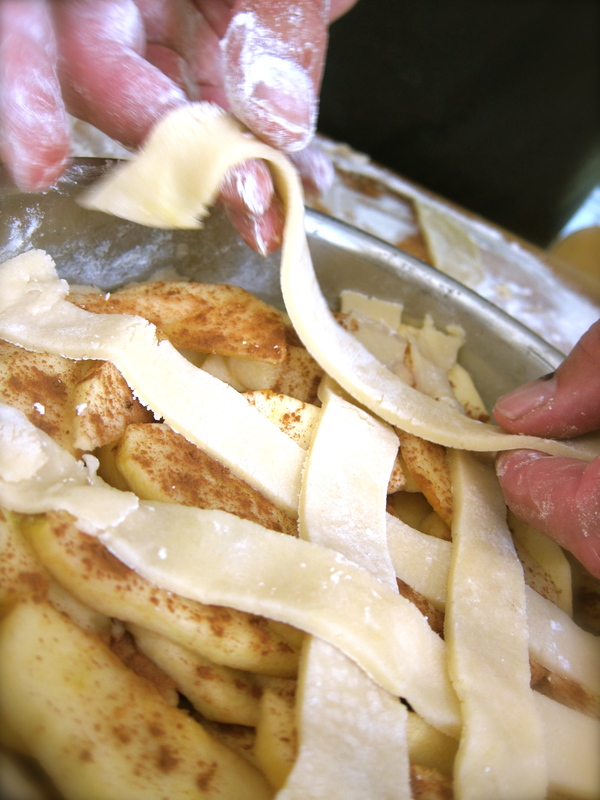 But one day a few years ago he suddenly made an Appeltaart for a dinner party we were having! Who knew? 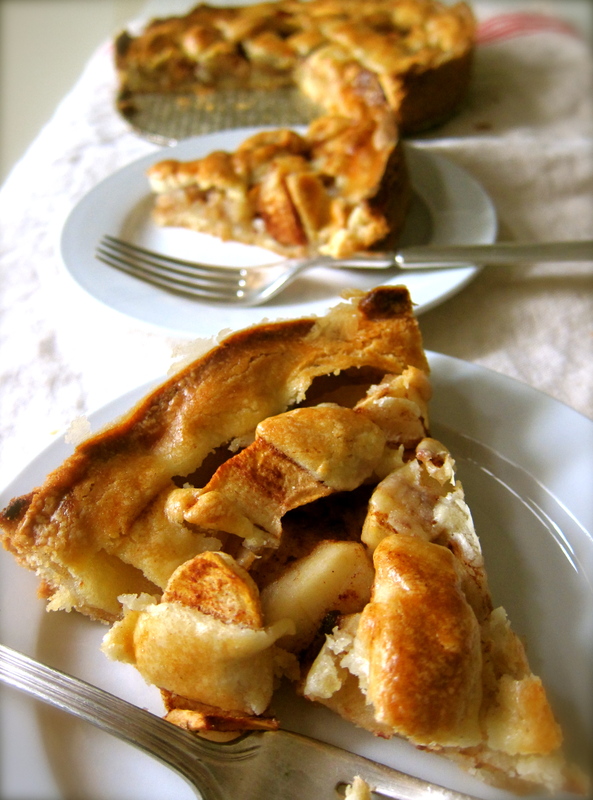 It had a deliciously tender crust (no soggy bottom), the apples were tender-crisp, with a wonderful cinnamony-not to sweet taste. 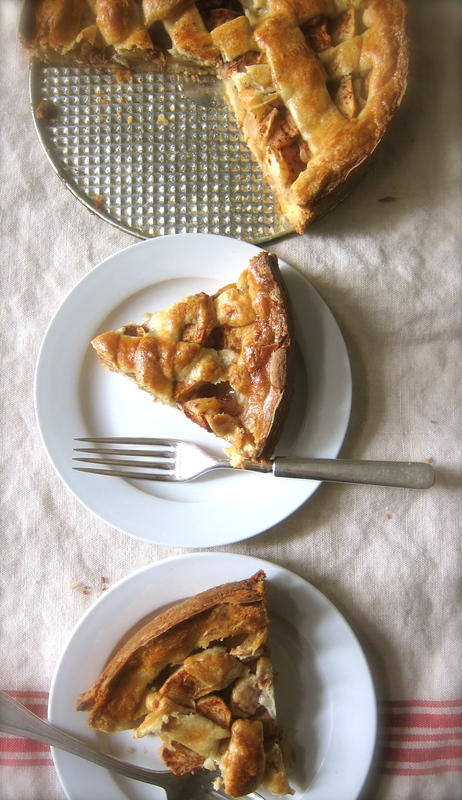 In other words, what an apple tart should be in all ways. Each occasion , for special dinners or to take to friend’s houses, that he has made this wonderfully perfect dessert he has done it so “swiftly & deftly” that I have never actually seen him do it. He assembles his ingredients & the next thing I know there it is ready for the oven. It’s like stealth baking…each time I question him about how he does it he just smiles. 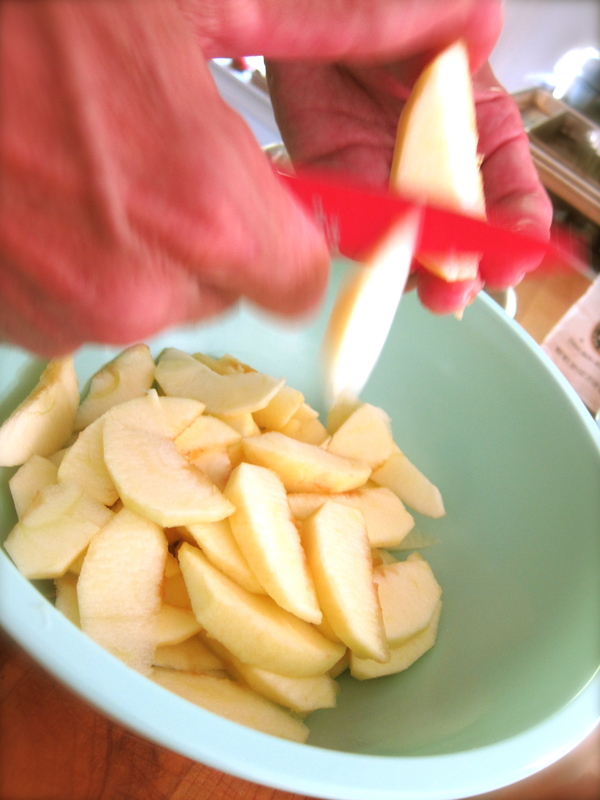 The basic recipe comes from a cooking book he brought with him when he moved to the US, but he works from his quickly hand-written version stuck inside. 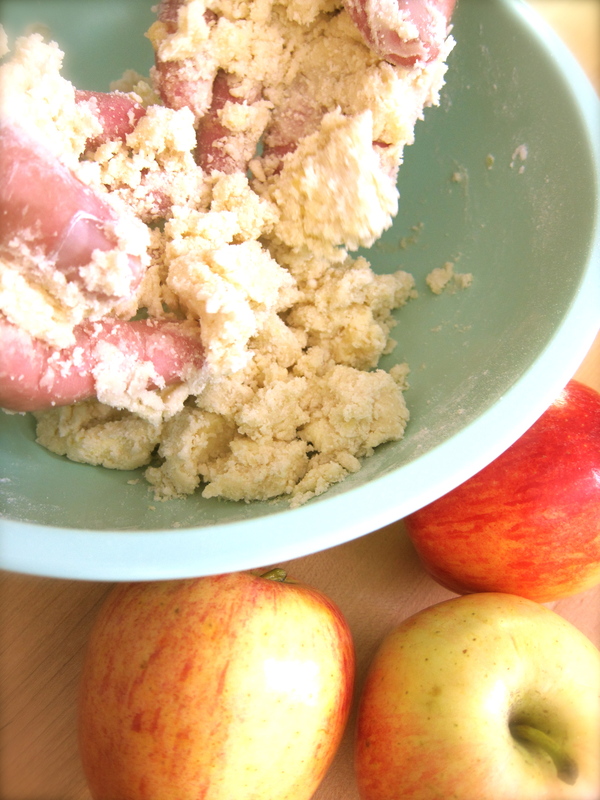 This week he decided to make his Appeltaart for a dear friend who is recovering from surgery. 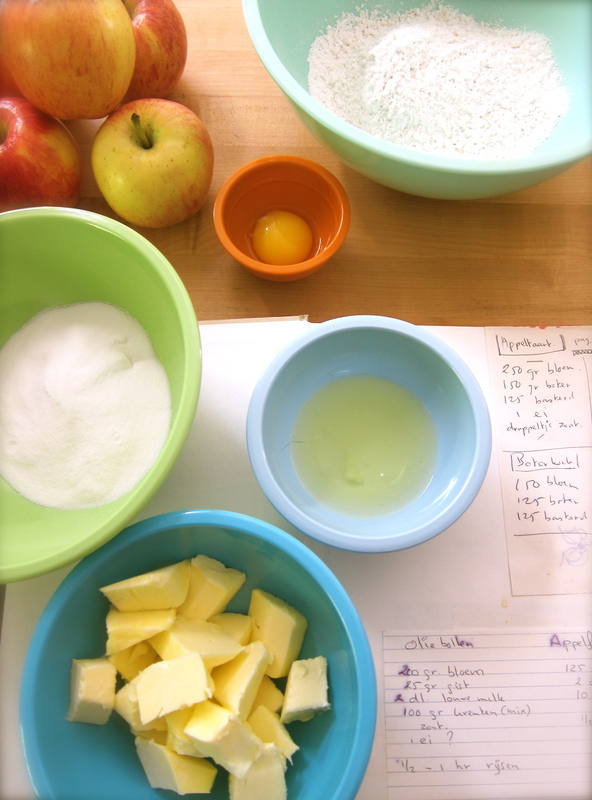 He agreed to let me both photo the process and blog about it so here is a step-by-step how-to for making “Wouter’s Appeltaart”….a great Dutch treat. 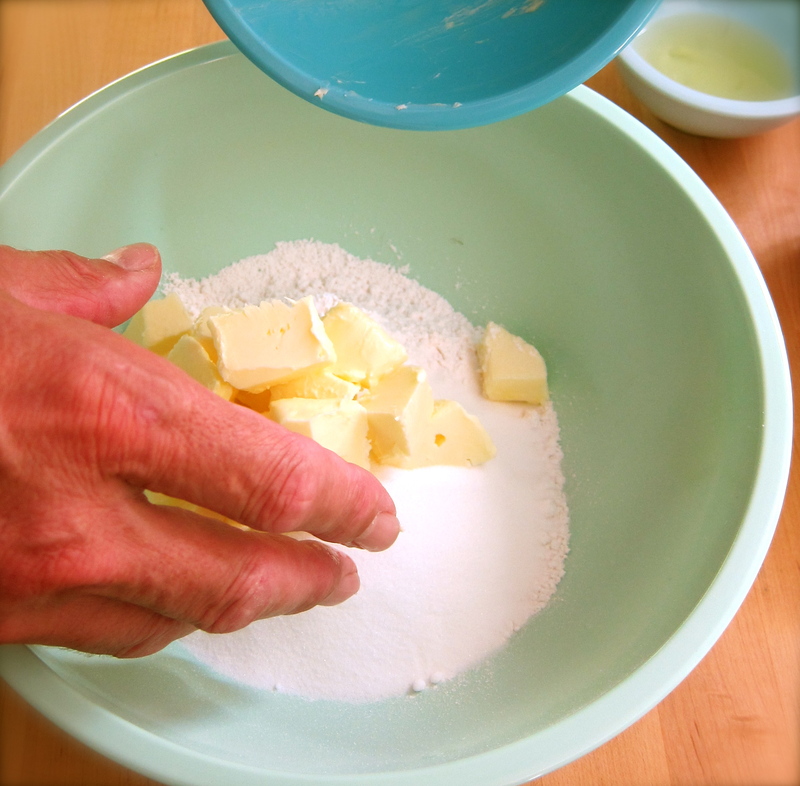 Add cold butter to flour in bowl quickly working together with fingers. Add egg yolk. 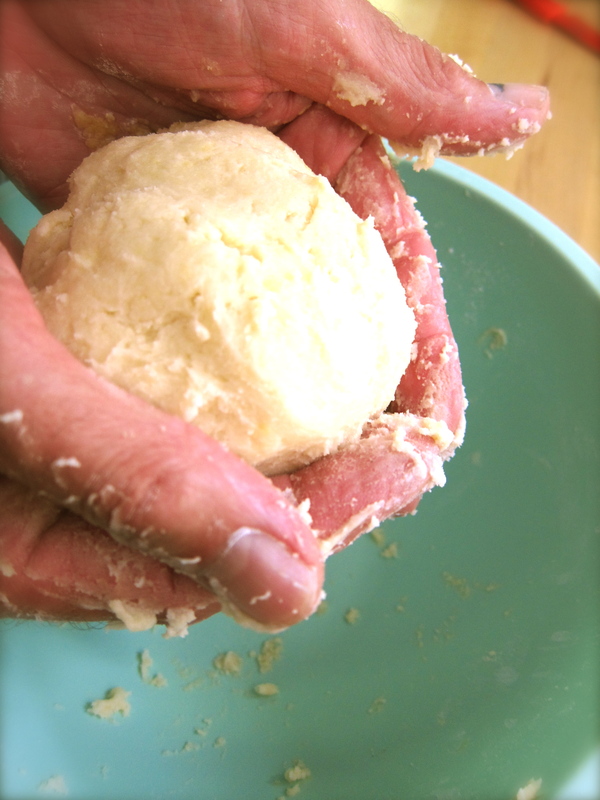 With fingers work into flour-butter. 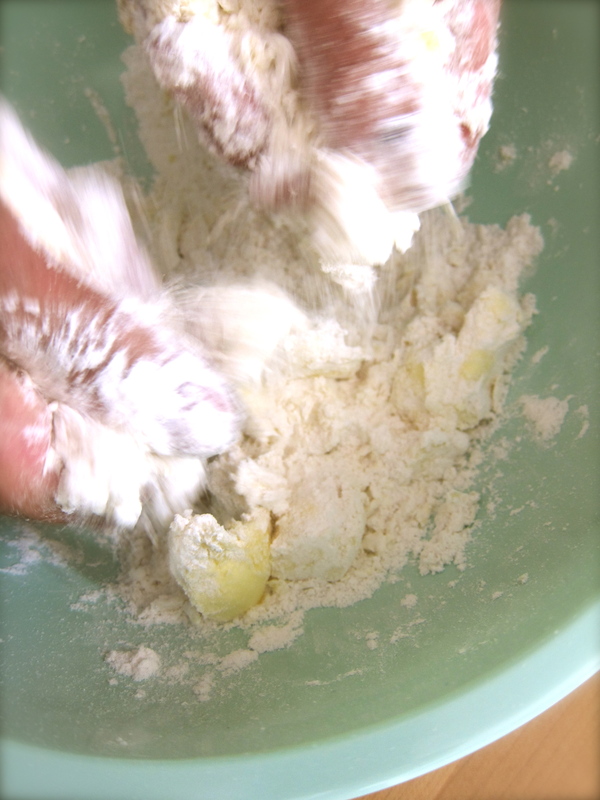 Lovely dough…sticky at this point & soft…. 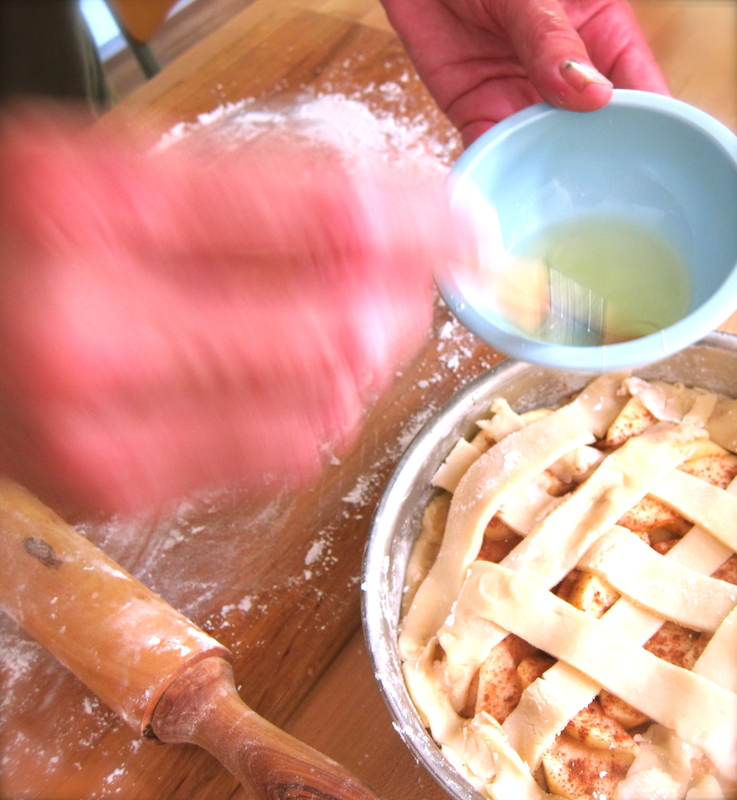 …..formed into a ball…cut off about a third of the ball, wrap in plastic & chill while making tart. This will become the lattice top. 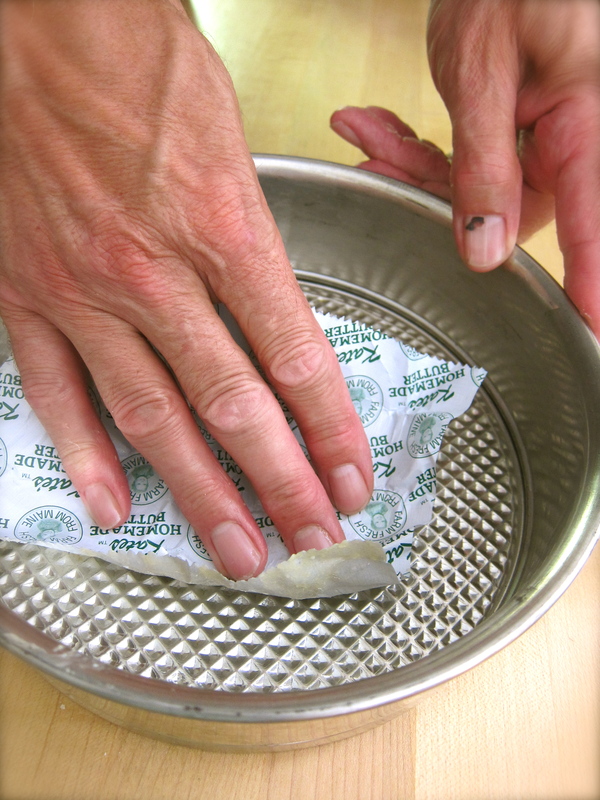 Wouter uses the butter wrapper to grease the 9″ springform pan. No waste! 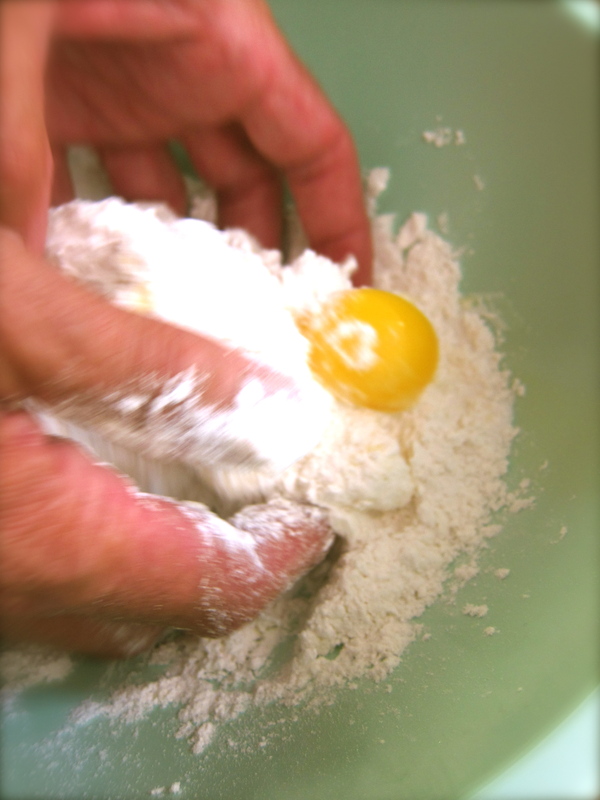 Lightly floured with excess shaken out of pan. 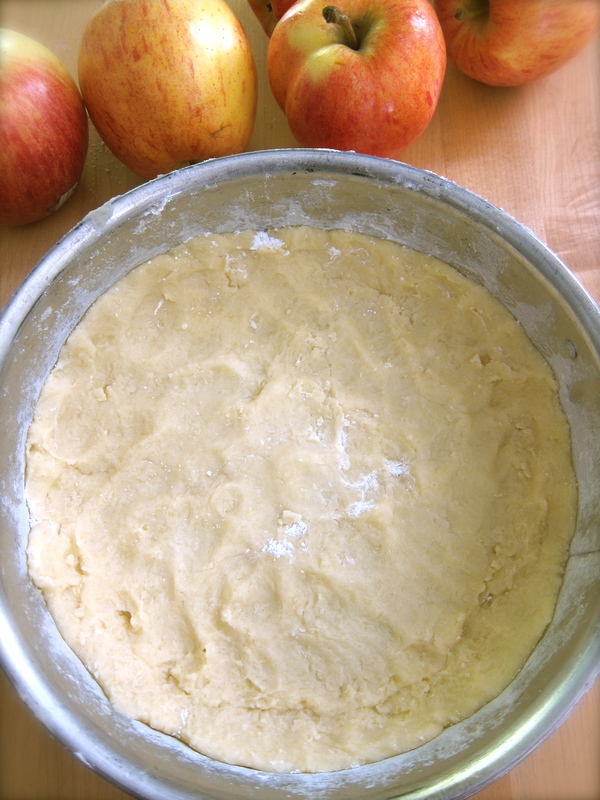 Crust quickly patted into bottom and slightly up sides of pan. 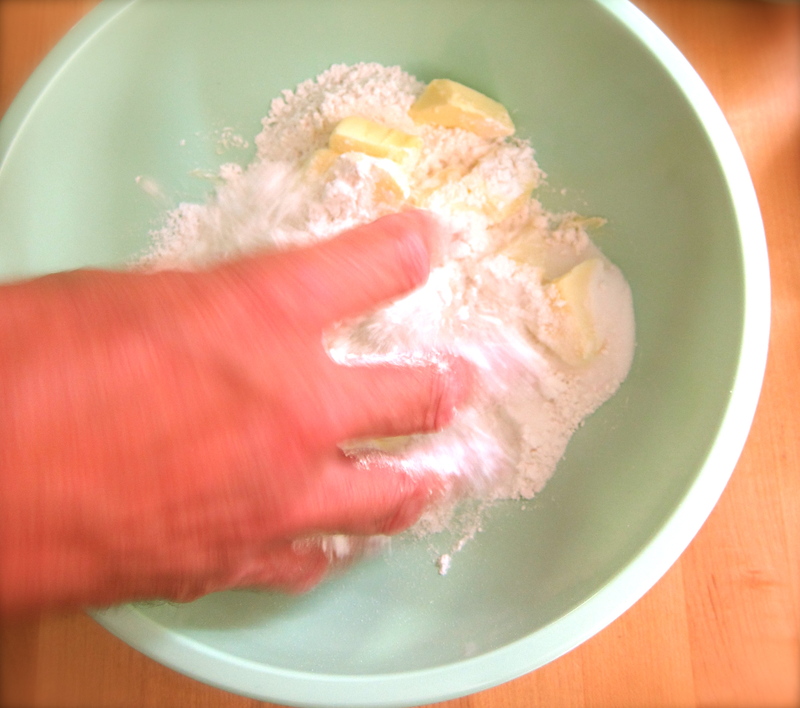 Wouter keeps his fingers floured as he works. 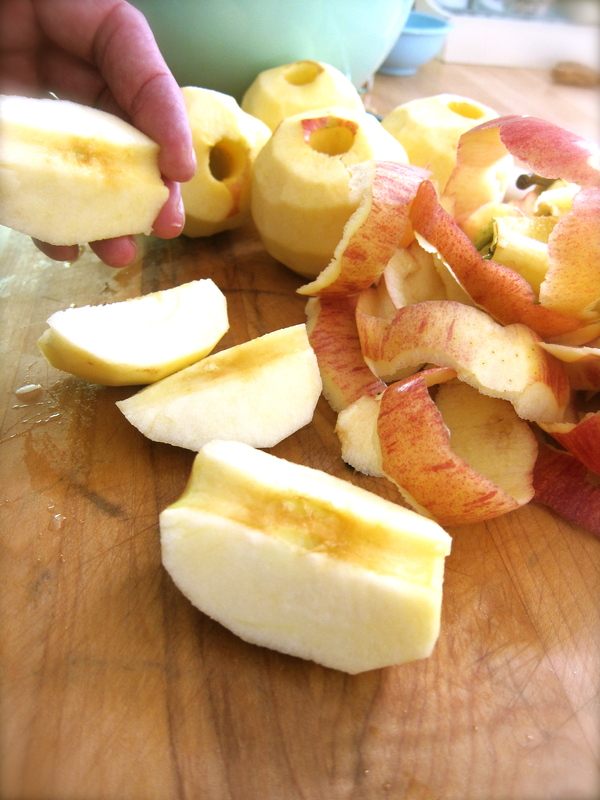 Set aside while prepping apples. 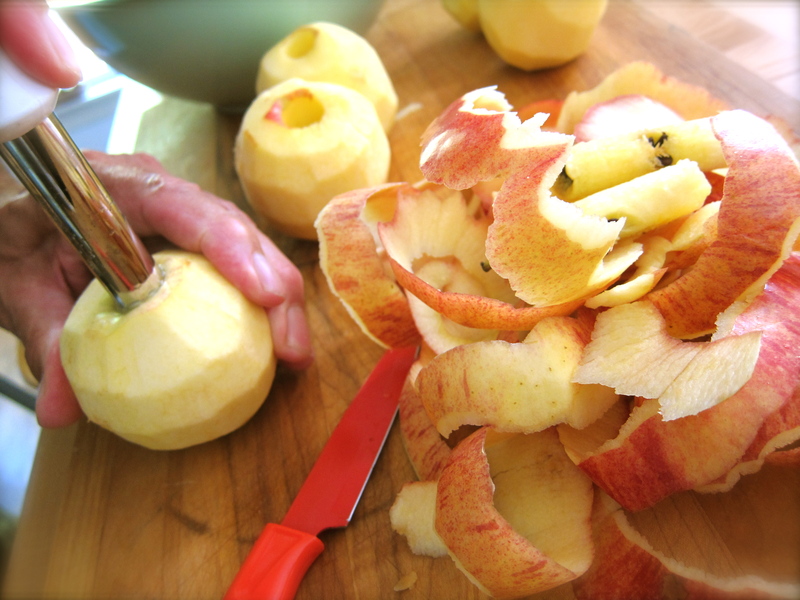 Wouter patiently, but swiftly, peeled 4 Gala apples creating 4 whole strands of apple peel! This I cannot do. My peels are always choppy & in parts. His peels were beautiful. Hmmmm. 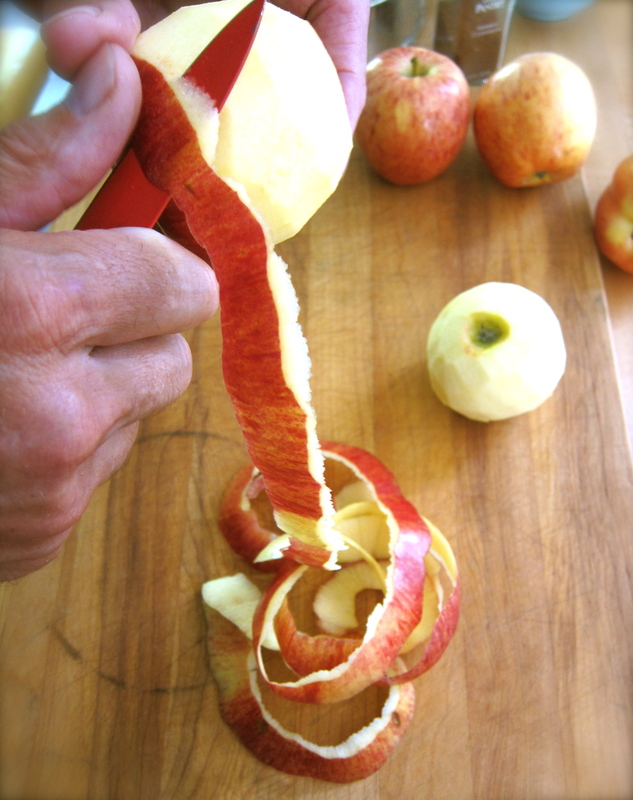 I wonder if apple peeling reflects personalities? Alas, I think so. Product Note: This Leifheit corer is absolutely the best. 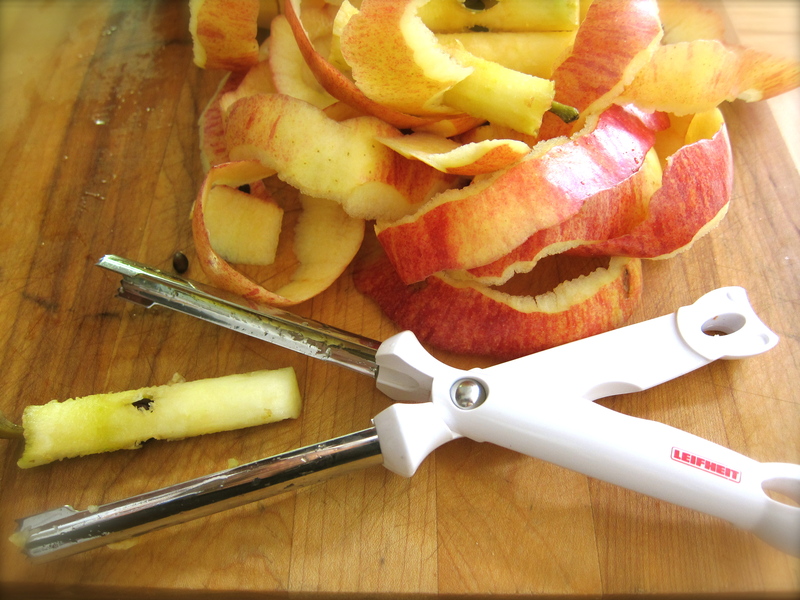 A German company that makes great, useful kitchen gadgets, also sold in the US. For retailers go to: http://www.leifheitus.com. It has a nice grip for coring and is hinged so you can easily remove the core. 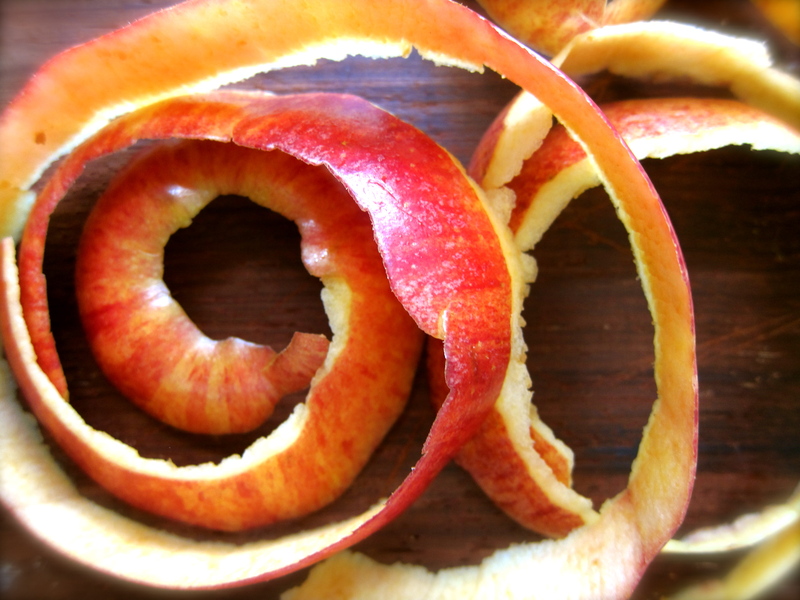 Cored apples cut into quarters & thinly sliced. Half of slices layered in bottom of springform pan & sprinkled with a couple of tablespoons of Caster Sugar. 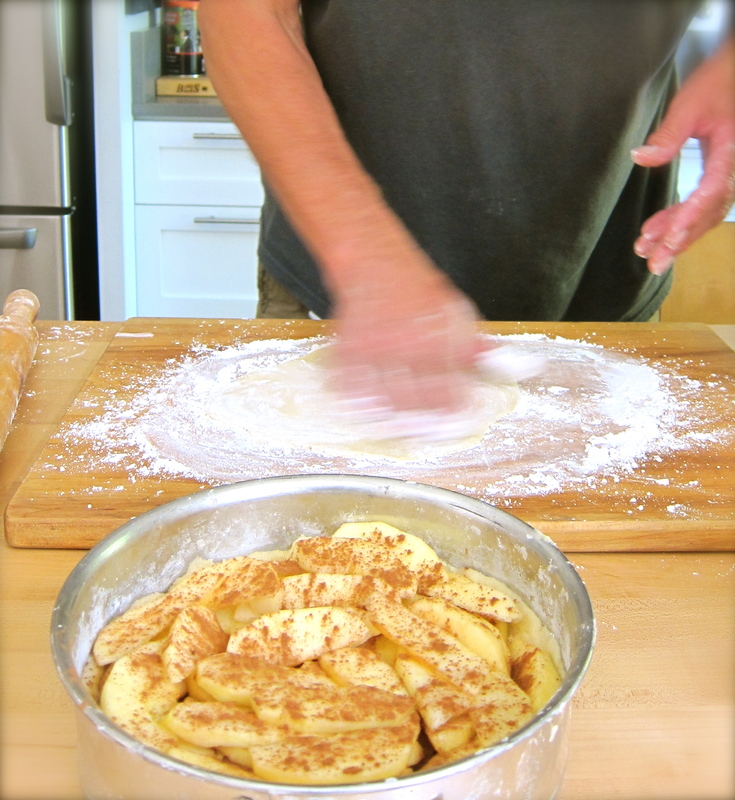 A dusting of cinnamon powder sprinkled over apple slices. 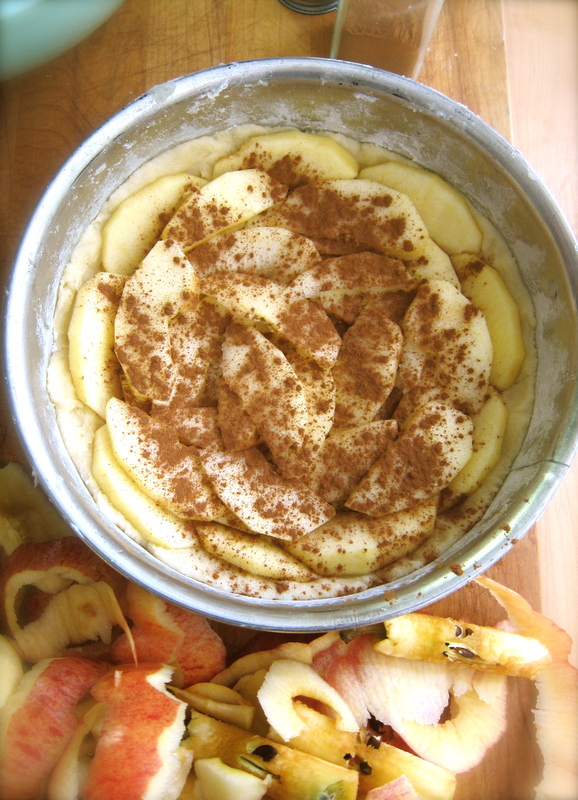 Repeat layering with remaining apples, additional sugar & cinnamon. Now to Caster Sugar. 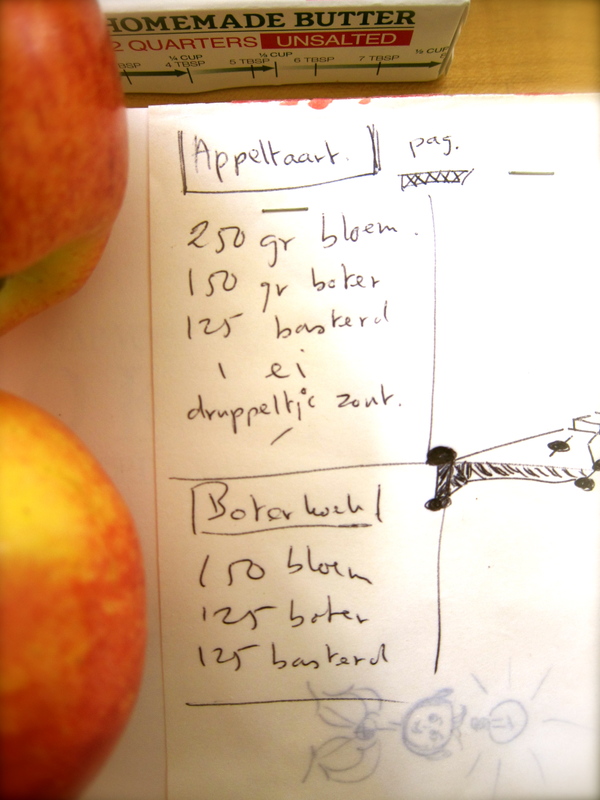 For a few years Wouter would describe a sugar he liked to use for his Appeltaart and I could not figure out what it was. 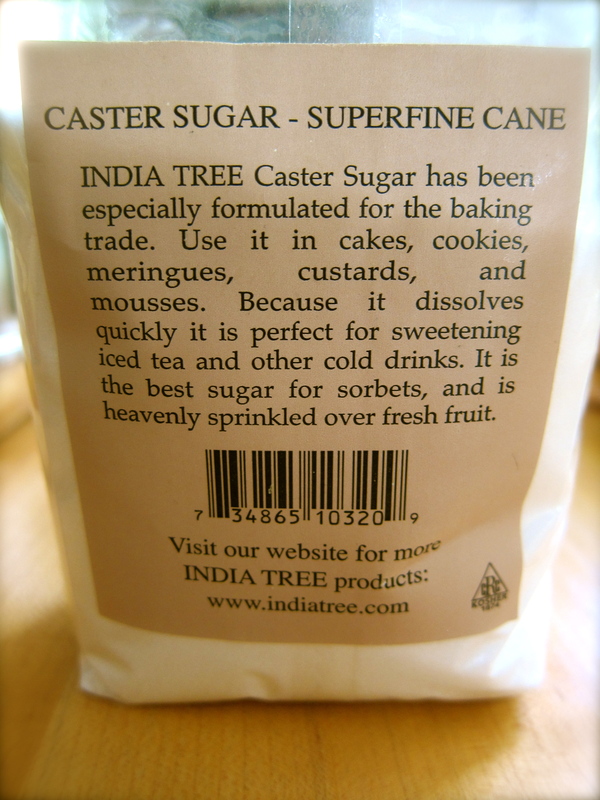 Finally I decided it must be something close to Superfine Cane -Caster Sugar. I found some at Whole Foods, India Tree Brand and it worked great. Not as fine as powdered sugar & not as granulated as regular white sugar. It doesn’t leave any sugary-grittiness to desserts. I am not quite sure it is what he used in The Netherlands, but close to it. Wouter rolling out chilled crust for top lattice on tart. 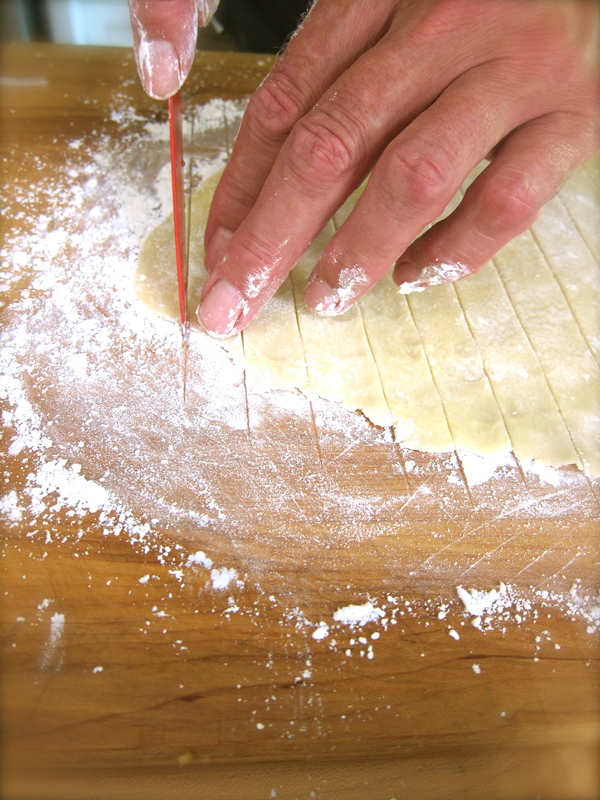 Rolling, flipping, adding more flour & then cutting into strips. He uses his fingers to evenly measure each strip. 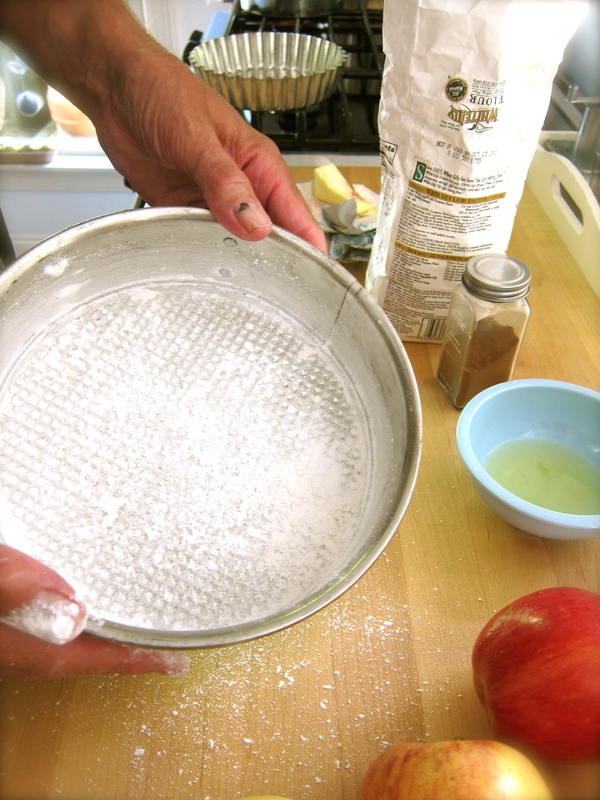 Creating lattice, brushing on egg white….it’s ready for a preheated 375 degree oven. Hot from the oven after baking for approximately 55 minutes to 1 hr. You and that Dutchman! What a pair. Great shots! Greta, it is so great to hear from you and to know that you are looking at my blog. Isn’t the internet a wonderful thing? 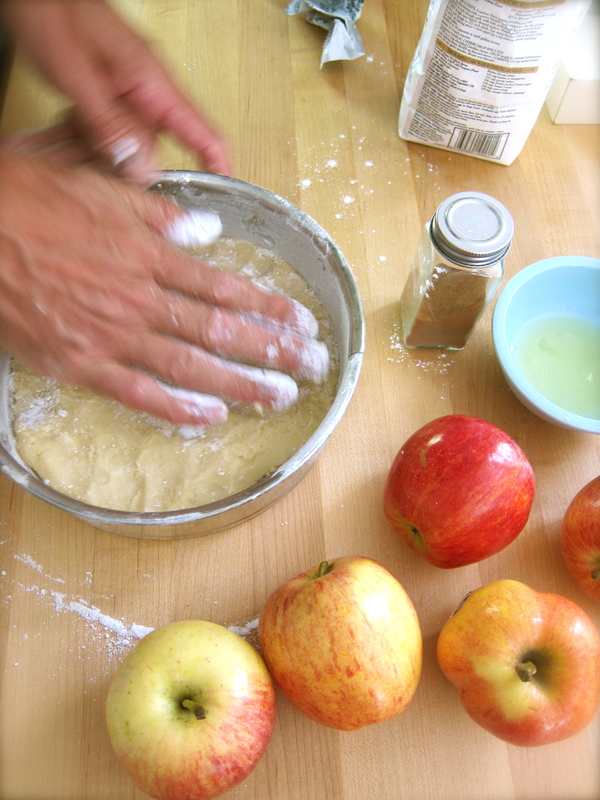 This appeltaart is very easy and yes, that Dutch man does have beautiful hands…just another asset! Let me know how your tart comes out. Wonderful! Sharing with my sister. We just picked BUCKETS of apples when I was home! Wouter, a man of many talents..looks yummy! I keep checking my front porch but Wouter’s appeltaart has not shown up yet.. ik wacht geduldig af!! After so many years i gave my recipe away. I hope everybody will enjoy it. Wonders never cease, and neither does our Woutee! Beautifully done and I’ll bet it tasted even better than it looks. It was most sublime…and now if you are very, very nice, he might make you one. When I came back from your house yesterday with Baylor, Wouter had whipped up another one! And the kitchen was immaculate! I never cease to be amazed…he has many rabbits in his hat. I’m going to make this! Nice work on the presentation, Teresa. Indeed, a man of many talents…. As a lucky side kick, to the dear friend who is recovering from surgery, I can testify to the fact that this was the best apple tart on the planet!!! In fact it was the first thing that Liz ate with true gusto since her surgery…. wow, wouter!!! i got more and more salivatorious reading the blog. please make me one! 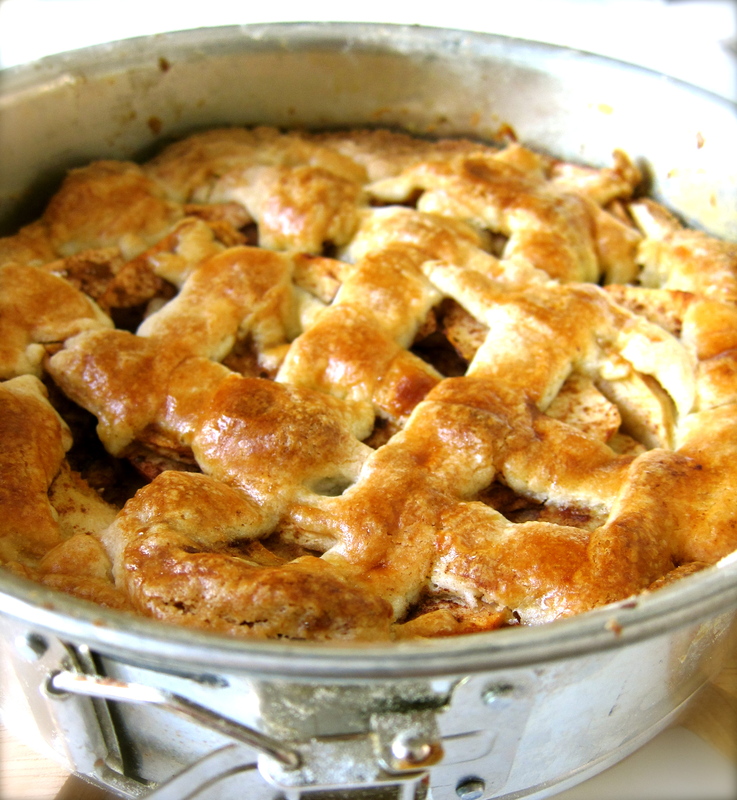 Now the real “wow” is the word “Salivatorious”…It makes my mouth water just reading that word…perhaps an appeltaart is in your near future. Thanks for the comment. dus jij gaat aan de haal met onze hollandse klassiekers! Kwam bij het bezichtigen van een aantal ‘Samenwerking’ huizen langs jullie ouderlijke woning met de familienaam er nog op. Er was niemand thuis maar ik neem aan dat je ouder(s) er nog wonen? Je bent geen steek veranderd! Het gaat je blijkbaar goed. Kees, dat is te gek, dit is mijn e-mail wowter@yahoo.com, schrijf me. I cannot read what he says and now I cannot read what you say….you can translate when you get home. Love, me. 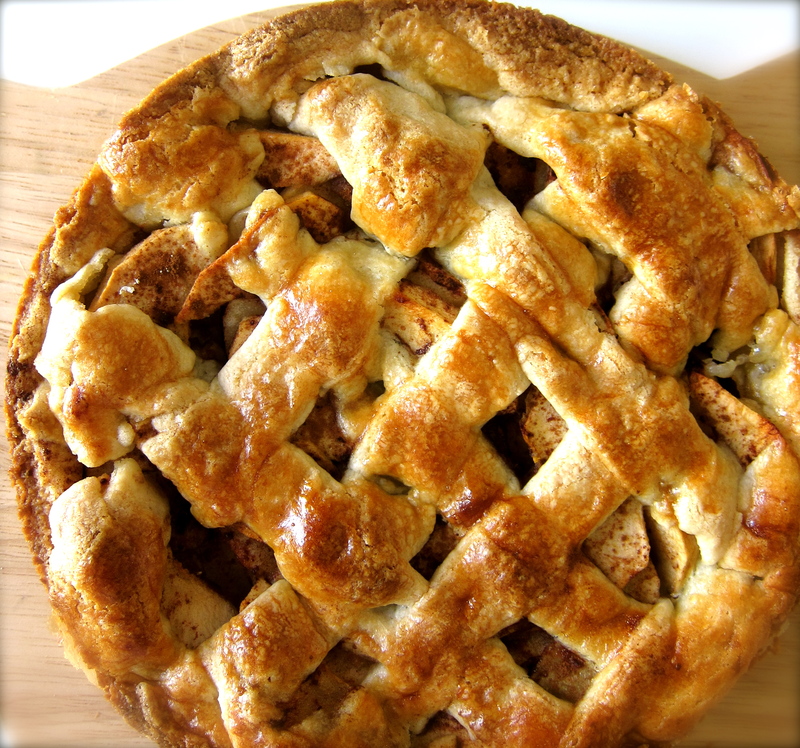 Love Wouter’s apple pie! Yay for Hollandse appeltaart! Hi teresa, great recipe thanks. 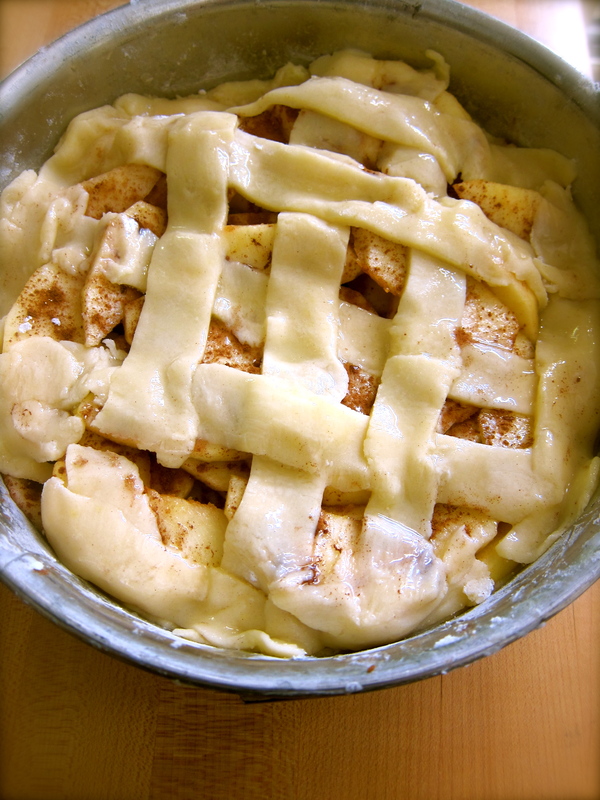 Dutch appeltaart is by the far the best in the world no question! I’m Australian having lived and worked as a chef in the Netherlands now for 8 years. 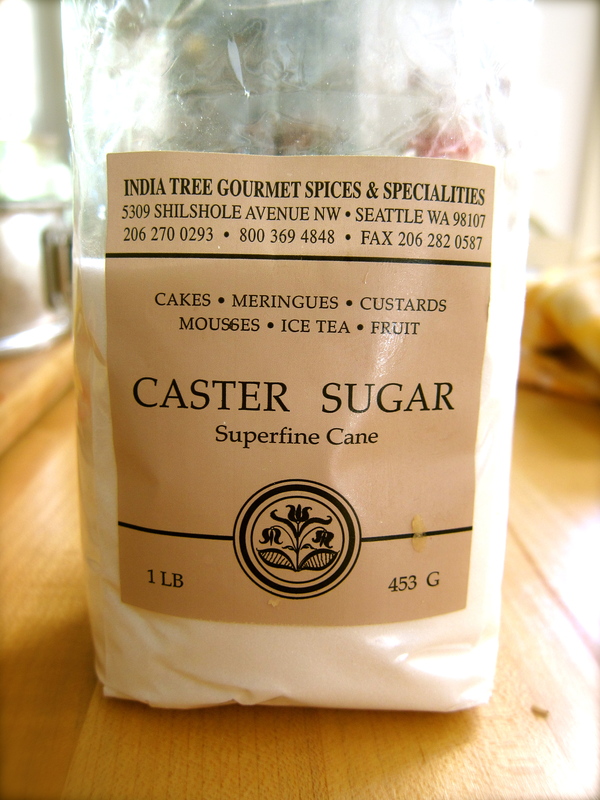 The basterd sugar issue – I’ve found brown sugar to be the closest in consistency to basterd sugar because both have a moistness to them. 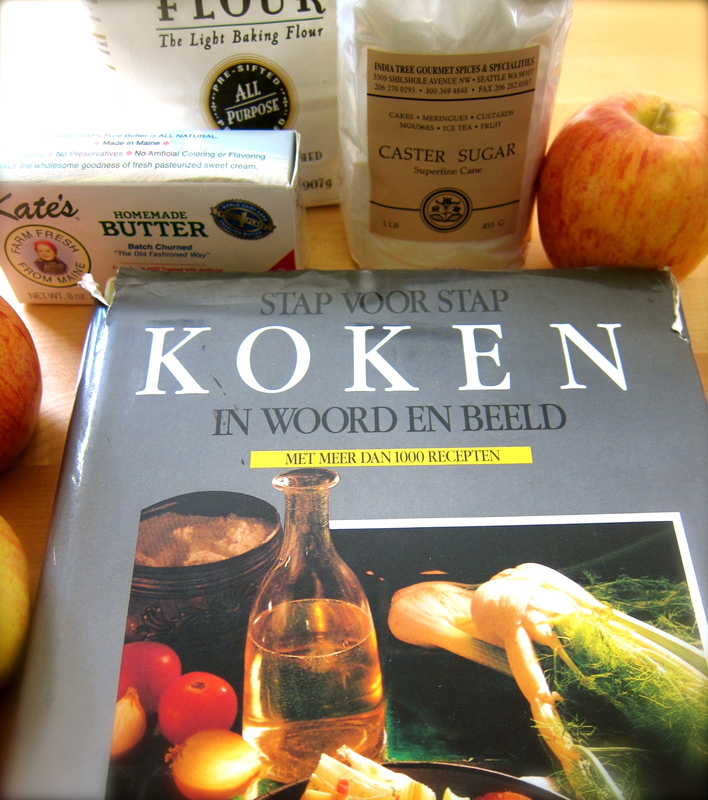 As Wouter would’ve described, basterd sugar in the Netherlands comes in white, brown, and dark versions. Each impart a certain flavour to your dessert depending on its colour – the darker of course the more caramelly and potentially bitter. So, if the US has the same soft moist brown sugar I’m used to in Australia, I’d say that’s also an alternative. And a handy variant. 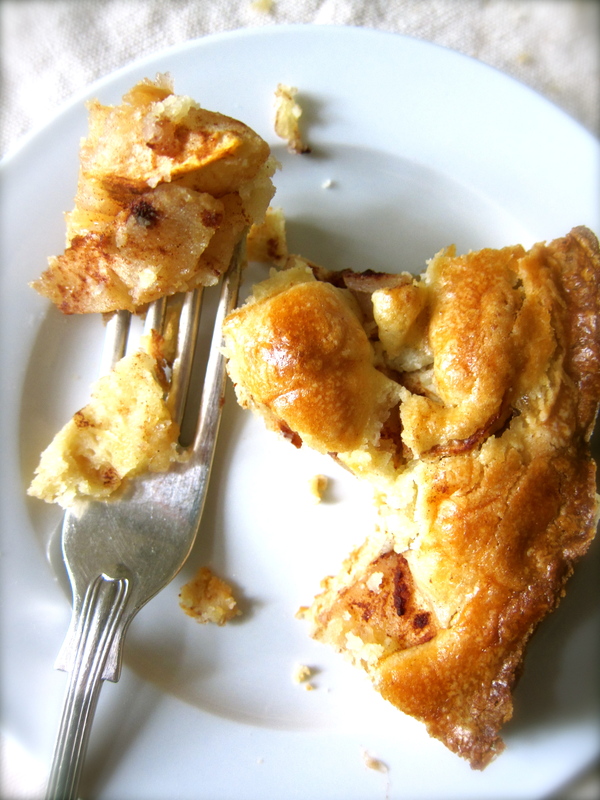 I quite like my Appeltaart with bruin basterdsuiker but white is the best for the doe. Thanks so very much Tony and great to hear from you. Whenever we travel to the Netherlands we always go “grocery shopping” and bring back a suitcase full of goodies including basterd sugar. I give it away to my baker friends as gifts. Again thanks for stopping by Food on Fifth.